We are not using a sticky reel like other systems. The special ESD safe brush of the BC-Series systems rotates and oscillates at the same time and therefor guarantees a maximum of cleaning efficiancy. A vacuum suction system above the brush takes the dust away and runs it to a particle filter. Option available as ionizing air knife bar to neutralise electrical charges. 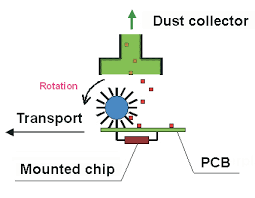 During production of electronic boards, there are many sources of particles which can contaminate the surface of PCBs. If these particles are located on solder pads during the paste printing process, it can cause problems during soldering of the boards or can reduce the quality of a solder joint. 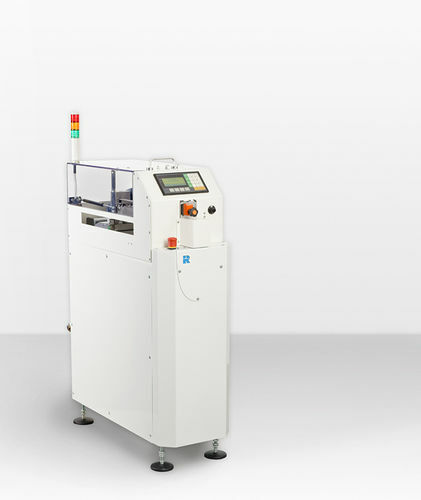 Our Board Cleaning Systems BC-250B and BC-460B are designed to overcome these problems.